This 90' diameter vertical gasoline storage tank, owned by Mobil Oil Corporation at their bulk storage terminal in Vernon, CA, was lined with Seaman Corporation Polyurethane, a specialty product, which is resistant to gasoline. The flexible nature of this geomembrane, like all of Seaman Corporation's geomembranes, allows prefabrication into large sheets. 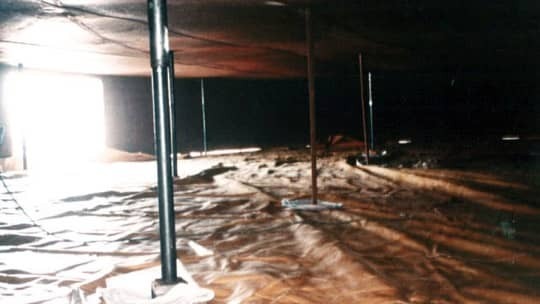 In fact, this liner was fully fabricated and installed with no field seams.